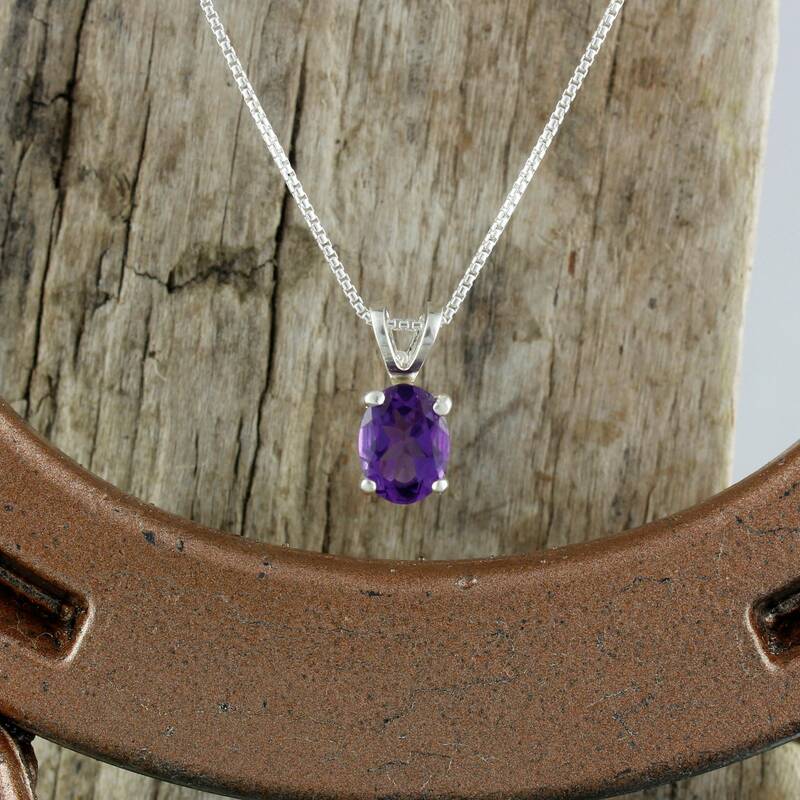 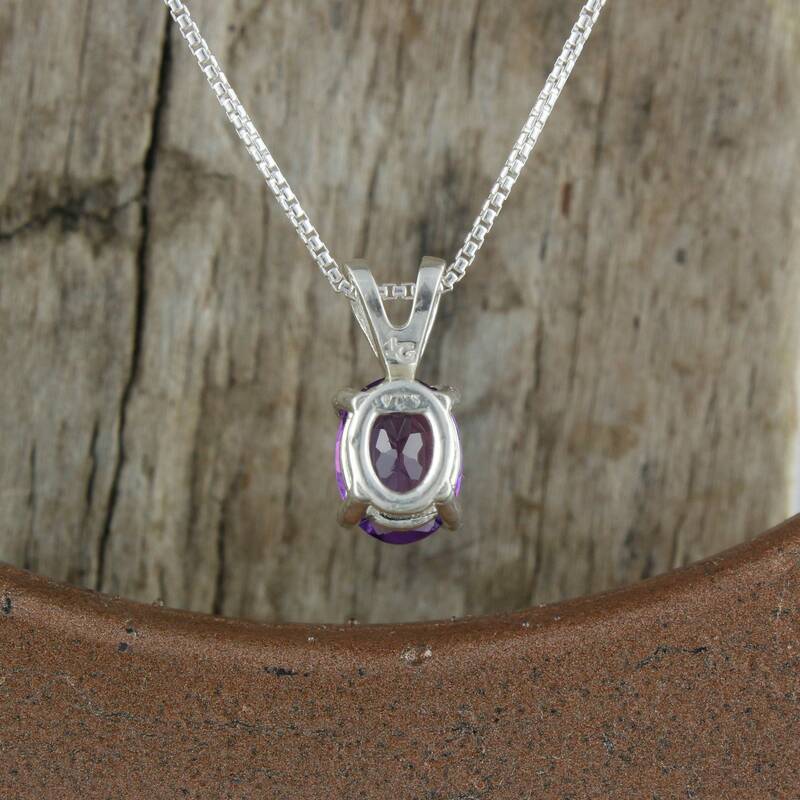 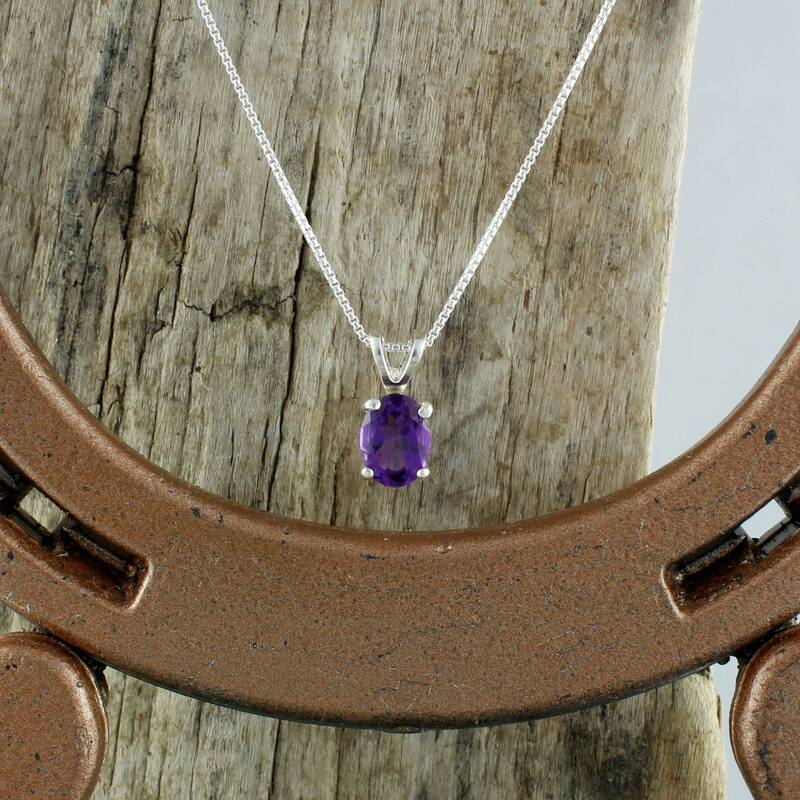 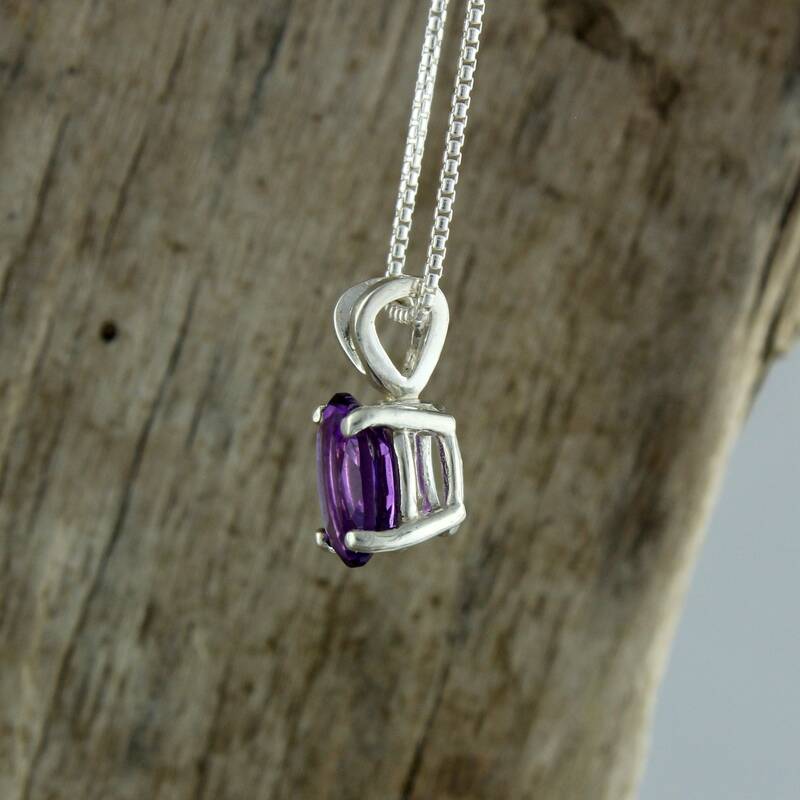 Natural Amethyst Pendant - Sterling Silver Pendant Necklace -Purple Amethyst Pendant: This stunning sterling silver solitaire pendant features an Amethyst stone. 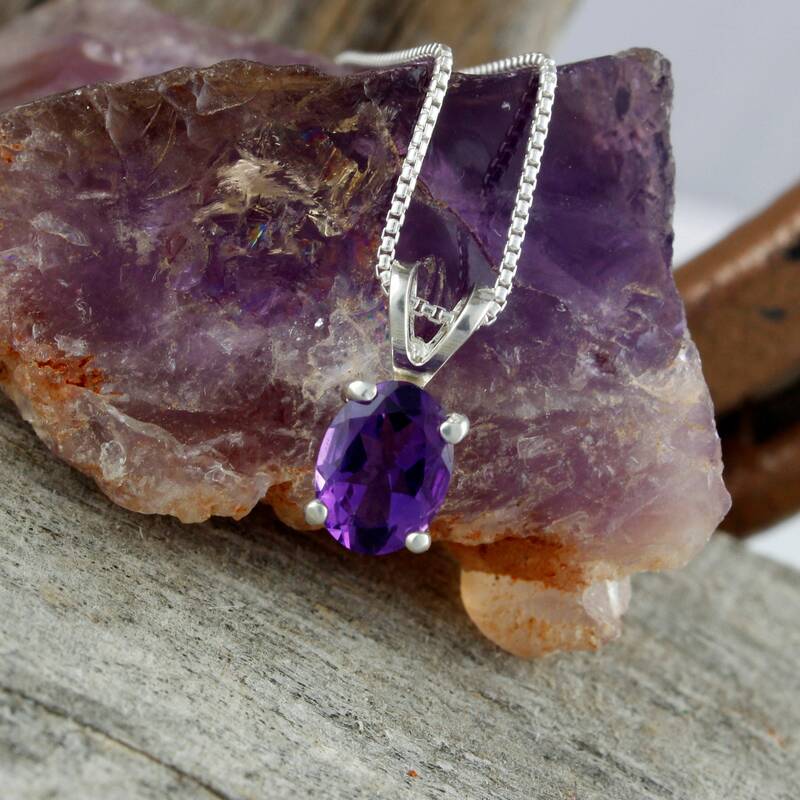 The Amethyst stone is 8mmx 6mm (5/16" x 1/4") and weighs 1.1 ct.. 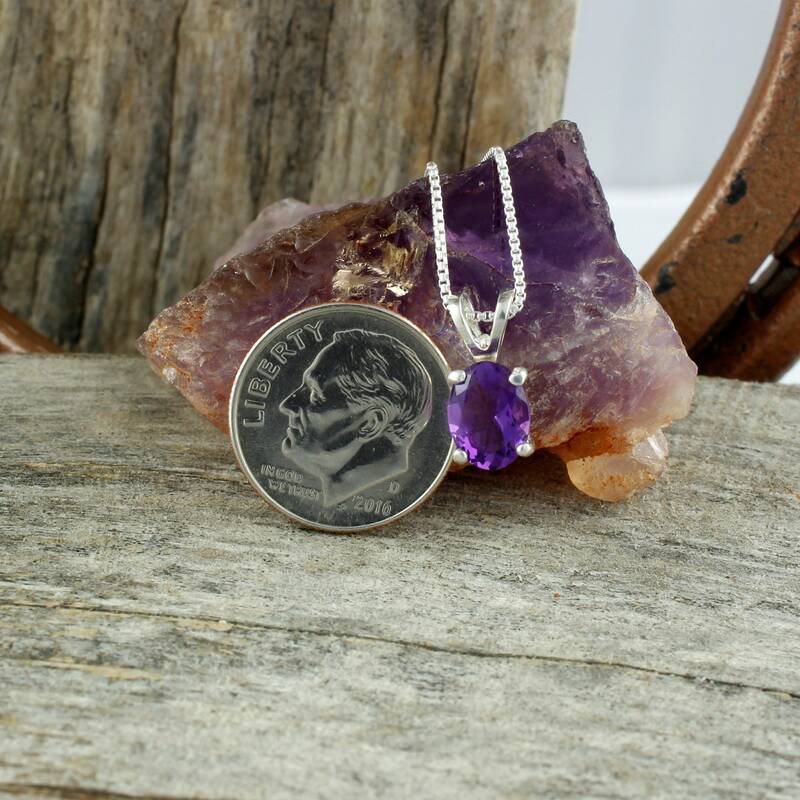 The pendant is 12mm x 6mm (1/2" x 1/4"). 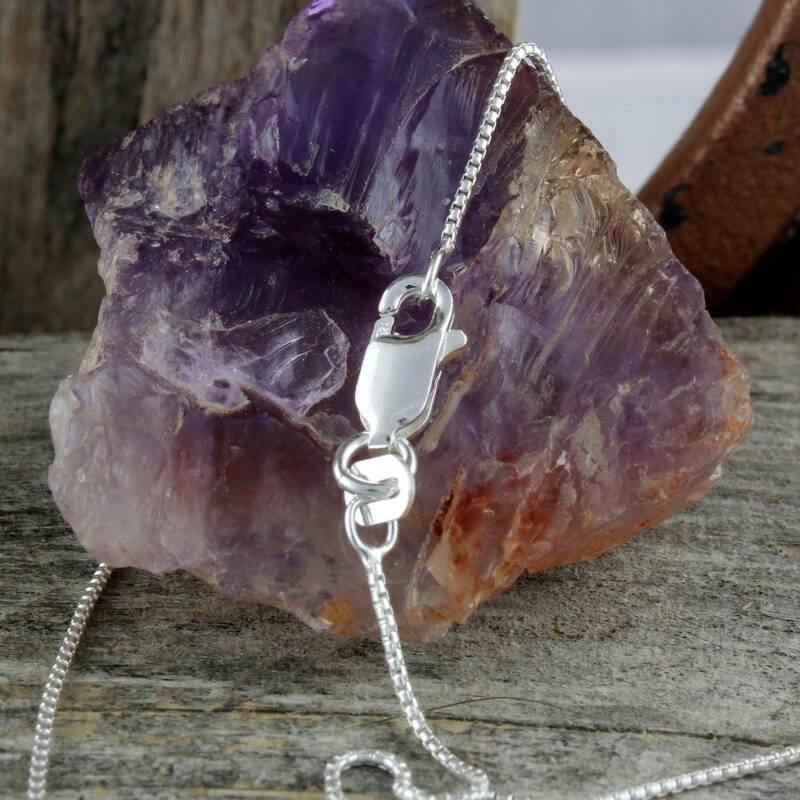 The stone and setting are suspended from an included, complimentary 18" sterling silver rounded box chain. 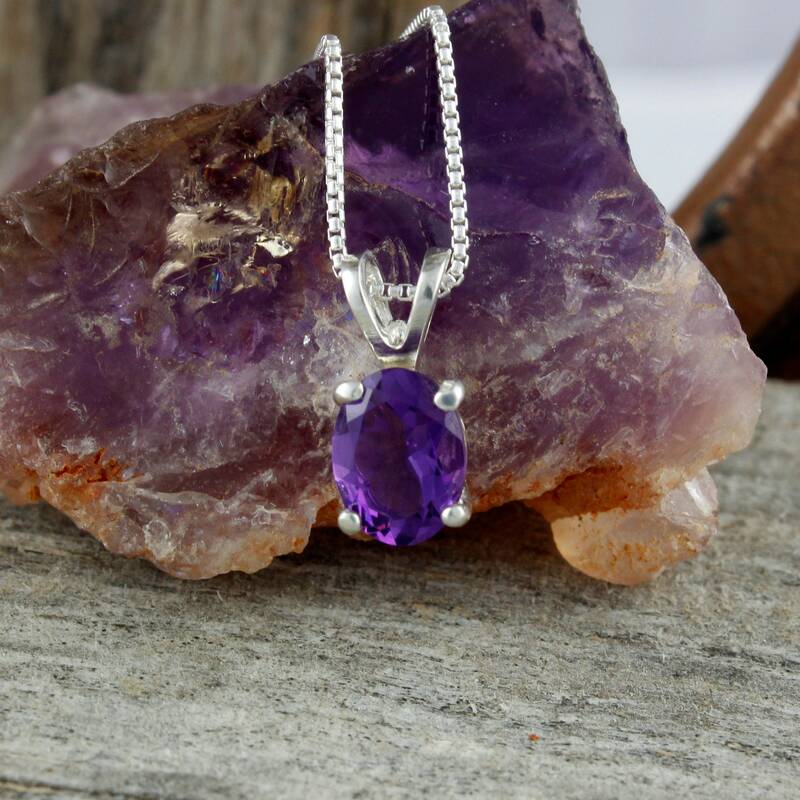 The stone has a ultra violet purple color! 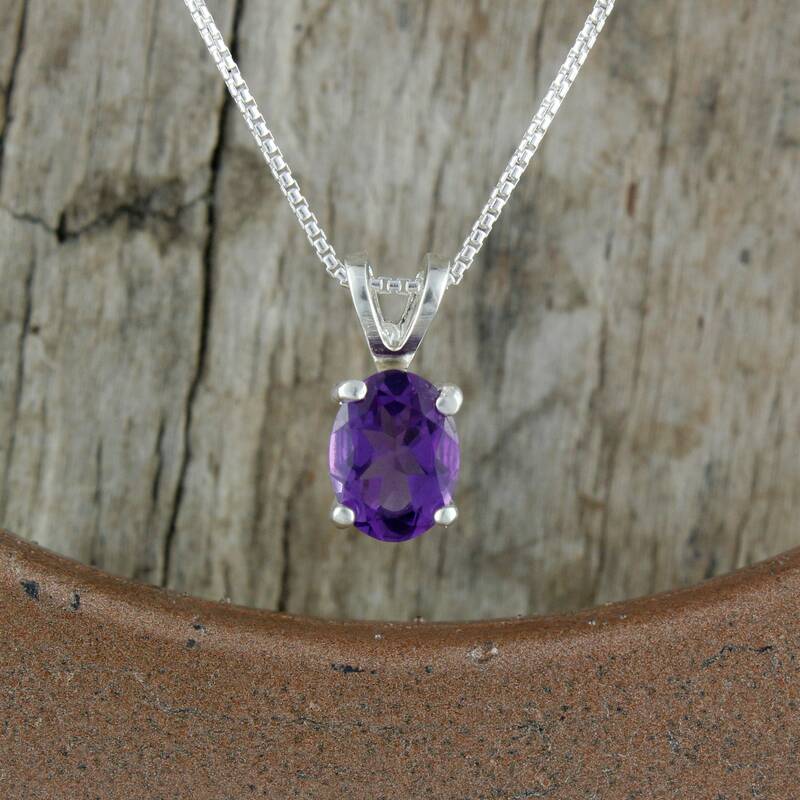 Amethyst is February's birthstone and when paired with a matching pair of earrings it will make a great present for someone special! 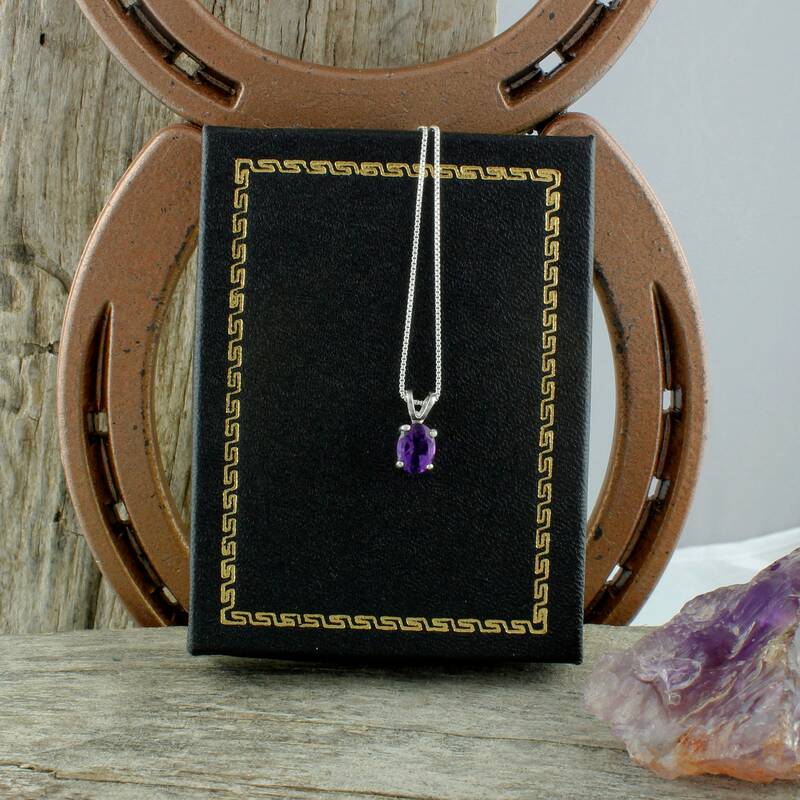 As with all our pendants, we will ship it in a beautiful gift box for no extra charge!